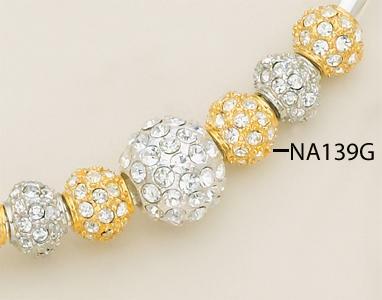 Fireball with Austrian Clear Crystals in a Gold or Silver finish setting as pictured above.. Compliments our European and Pandora style bracelet BR100. Price is for fireball and does not include bracelet or chain. Only a $1.80 each when buying a dozen or more! please specify color when ordering.